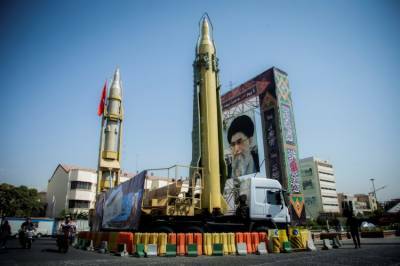 Dubai (Reuters): Iran will not negotiate over its ballistic missiles until the United States and Europe dismantle their nuclear weapons, a top Iranian military official said on Saturday. While Iran has accepted curbs on its nuclear work - which it says is for purely peaceful purposes - it has repeatedly refused to discuss its missile program, something the United States and the Europeans have called for. “The condition for negotiating Iran’s missiles is the destruction of the nuclear weapons and long-range missiles of the United States and Europe,” Iranian Armed Forces spokesman Masoud Jazayeri was quoted by the state news agency IRNA as saying. Iran says its nuclear program is defensive because of its deterrent nature, and that it is not related to Tehran’s 2015 nuclear deal with world powers which led to the lifting of sanctions against the country.